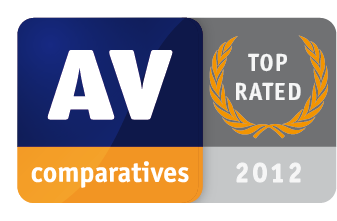 ESET has received “Top Rated Product of 2012” recognition for its flagship solution ESET Smart Security (version 5) by the independent testing authority AV-Comparatives. ESET came second in the overall performance category, demonstrating to have a low system impact on user’s computer. ESET was also the silver winner in the false positive category, ranking among the top three vendors with the lowest false positives in the AV-Comparatives 2012 tests. “In our opinion, this year’s version of ESET Smart Security (version 5) retains the remarkably simple and clear layout of previous versions, with sensible default settings and clear warning/information messages,“ states the AV-Comparatives Summary Report 2012. ESET, the pioneer of proactive protection and the maker of the award-winning NOD32 technology with more than a quarter of century tradition, is a global provider of security solutions for businesses and consumers. The Company continues to lead the industry in proactive threat detection. By obtaining the 75th VB100 award in September 2012, ESET NOD32 Antivirus holds the world record for the number of Virus Bulletin “VB100” Awards, and has never missed a single “In-the-Wild” worm or virus since the inception of testing in 1998. ESET has been selected as one of the most innovative companies in Europe for the 2011 HSBC European Business Awards and holds number of accolades from AV-Comparatives, AV Test and other organizations. ESET NOD32 Antivirus, ESET Smart Security and ESET Cyber Security (solution for Mac) are trusted by millions of global users and are among the most recommended security solutions in the world. The Company has global headquarters in Bratislava (Slovakia), with regional distribution centers in San Diego (U.S.), Buenos Aires (Argentina), and Singapore; with offices in Sao Paulo (Brazil) and Prague (Czech Republic). ESET has malware research centers in Bratislava, San Diego, Buenos Aires, Singapore, Prague, Košice (Slovakia), Krakow (Poland), Montreal (Canada), Moscow (Russia), and an extensive partner network for more than 180 countries.